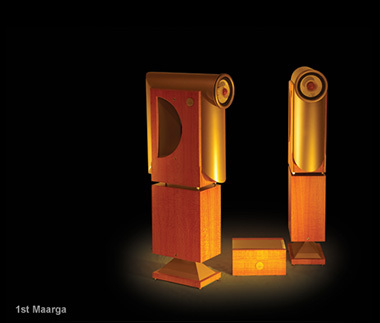 Given their connections with India, manufacturing was set up offshore so that they could bring to the music-lover a series of components that were extremely high quality but bereft of the stratospheric prices that normally accompany high-end audio components. 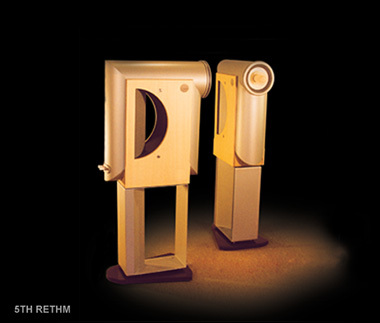 Rethm launched its first loudspeaker, the 2nd Rethm, in January 2000, at THE SHOW/ CES at Las Vegas. 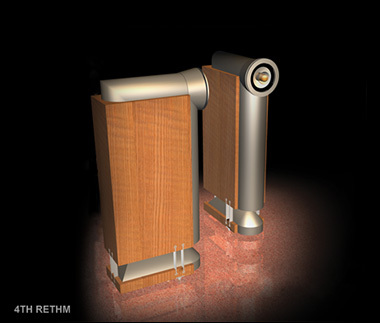 It launched its second model, the 3rd Rethm, at Home Entertainment 2002, in New York, and subsequently came out with the 4th Rethm and 5th Rethm in 2003 and 2005 respectively. 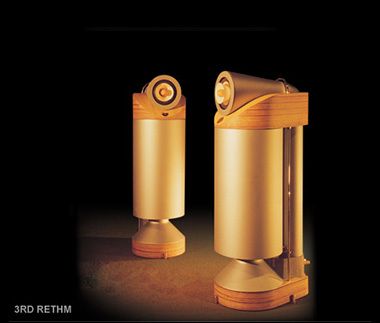 While this line of pure full range single driver loudspeakers earned several positive reviews, they were refusing to become a commercial success. Much soul searching and lots of constructive feed back pointed to one fundamental shortcoming: a lack of bass. The designer decided to scrap the existing line, and re-invented the speaker to address this criticism. The new line was launched in January 2007 with 2 models: the Saadhana, and followed a year later by the Maarga. 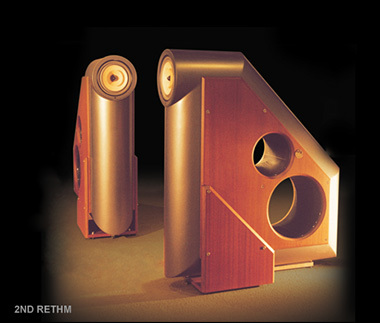 These speakers incorporated additional "powered bass modules" and were 2-box designs. However, in early 2010, we decided to do something we had been thinking about for a couple of years. To realize Rethms true potential, we would have to design our own wide-band drivers as the Lowthers were a compromise that we lived with by modifying them. And with this decision, Rethm went through its most difficult challenge, and most radical change. However -- our own custom drivers lifted the Rethms to a new level entirely. And with this crucial and fundamental change, we decided to completely redesign the architecture of the enclosure from ground up. 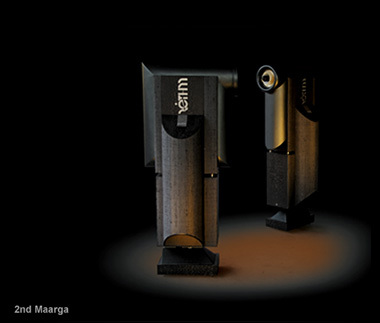 The first of this new line of speakers, the Trishna, was launched in 2011. The Maarga followed in 2012, and the Saadhana in 2013. These models have remained fundamentally unchanged for several years now, although certain critical internal components have been changed and improved over the years.